Manchester Police Sgt. 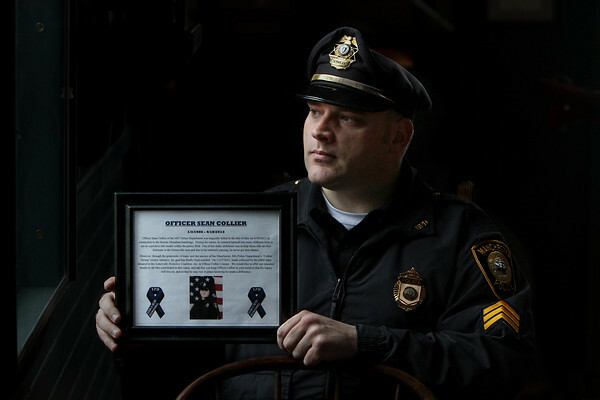 Steven Louf holds a plaque honoring his friend Sean Collier, an M.I.T. police officer murdered on April 18, 2013, allegedly by Dzhokhar and Tamerlan Tsarnaev as they tried to avoid capture for the bombing of the Boston Marathon.